It is a herbal, aromatic plant, which is cultivated. It grows as high as 40-70 cm in the light, in rich soils and it needs moderate humidity. Parts used: the bulb, the leaves, the seeds and the roots. The therapeutic virtues of the anise have been known since the ancient times. Pythagoras claimed that the anise enhanced man's strength, cured insomnia, stimulated appetite, made men more fertile and facilitated digestion. Main constituents known: The vitamins, the B complex (B1, B2), C, calcium, phosphorus, potassium, sulphur, iron, aromatic essences. Pharmacologic action: carminative, antispasmodic, expectorant, a pancreatic stimulant. As food, the anise is used for cooking sweet and spicy dishes. It has been used as an aphrodisiac since the Greeks' time. 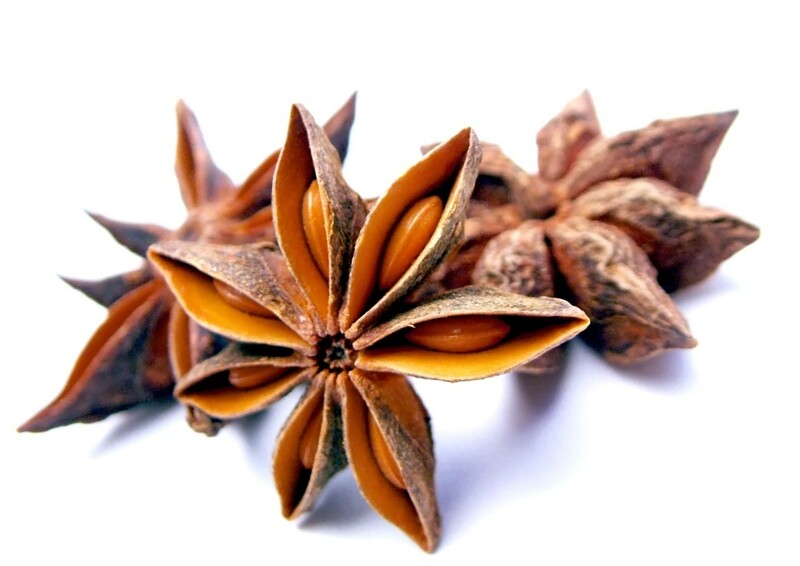 The medical tests have confirmed that anise seeds intensified lust. The anise fruit have got a nice taste and are used in the phytotherapy. As a ripe fruit or as juice, it is recommended for curing asthenia and for stimulating suckling mothers' lactation. Synthetically speaking, one may say about the anise that it is a medicine plant recommended for curing nervous asthenia, migraines, vertigos, rheumatism, cough, bronchial asthma, gastric pains, and slow digestion. The infusion is made from half a tea-spoon of mashed anise fruit scalded in 250 ml of boiling water. The tea should be left for 10-15 minutes in order to become an infusion. It should be drunk in fractions: half a mug before a main meal. Caution: the tea must only be kept for a short time before its consuming. As for sucklings, an infusion from 5-6 anise fruit scalded in 250 ml of boiling water is to be made. It treats flatulence and children's colics. The infusion is made from 10 grams of mashed fruit scalded in 100 ml of boiling water. The tea should be drunk in the morning on an empty stomach. The infusion is made from one tea-spoon of anise seeds boiled in 250 ml of water for 30 seconds. One mug of tea is to be drunk after the main meals. This tea treats bronchial asthma, cough, a slow digestion. The decoction is made from 30 gr. of broken up roots boiled in one litre of water for 20-30 minutes. One mug of tea is to be drunk after the main meals. This tea treats painful menses. It is used for curing stomach and intestine disorders, flatulence and colds.